In 2016, Arvada voters opted out of SB-152 to enable local governments to be more involved in broadband services. What has resulted since Arvada has opted out? Opting out of SB-152 enabled City Council broad decision-making authority for broadband services within the city limits. The City of Arvada is now working with other local jurisdictions such as the fire and school districts in order to benefit the broader community. 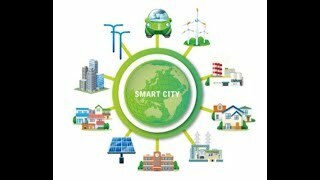 The ultimate goal is to create a "Smart City." Examples include: improving traffic flow through monitoring and controlling traffic signals; provision of high-speed internet to students and school administrators; increased efficiency in managing the City's water distribution system; and the ability to lease broadband capacity to public and private providers to provide the community with more high-speed connectivity options. Will the City of Arvada become an internet service provider and provide fiber for the home (FFTH)? As of today, the Arvada City Council does not have plans to start providing FFTH. What are other Colorado cities doing in regards to providing FFTH? Since 2008, 129 Colorado local communities have voted to opt out of SB-152. Out of these Longmont is the only city that is directly providing FFTH. Fort Collins, Grand Junction and Estes Park are exploring the idea, and Rio Blanco County is considering an open access public private model. Can the City put pressure on existing providers to provide better broadband services through negotiations of the cable franchise? Unfortunately, no. The cable franchises that the City has with TDS and Comcast govern broadcast TV services, not broadband. Broadband services are not regulated and therefore, the City does not have the authority to govern existing broadband providers. However, since the opting out of SB-152, the primary ISP providers in Arvada (Comcast and Century Link) have significantly upgraded their infrastructure. Why does the City not coordinate street maintenance/construction with the installation of fiber conduit? The City has a strategy (Dig Once Policy) to install fiber conduit in coordination with street repairs/construction projects whenever those projects align with the City Master Fiber Optic Plan; however, projects do not always align with the Master Plan. Installing conduit during projects that are not part of the Master Plan would result in "stranded" lines that do not connect to anything.